Wish To All The Sherwa Family, Relatives and Other on the Auspicious Occasion of Sherwa Festival Lhosar (2144) Year Of Female firebird. May this year bring peace, Prosperity, Compassion, and Harmony in your Family as well as in the nation! Sherwa People & Tamang- Tibetan Festival Lhosar February 27- 2-2017 in Nepal & Tibet- Bhutan Celebration. Lhosar is the Sherwa Word for “new year”. The most important holiday in falls during this period. 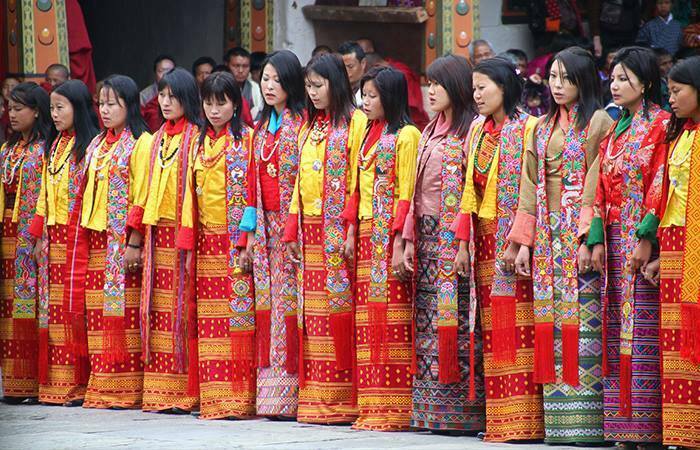 Lhosar is celebrated for 15 days (without counting the preparatory period), with the Main celebration occurring on the first three days. The Tibetan calendar is made up of twelve Lunar Months and Lhosar begins on the first day of the first Month. The last day of the 12th month of the year is a time to clean up and create an atmosphere to welcome in the New Year. The monasteries perform a special ritual with mask dances to expel negative forces. The custom of this day is to make a special soup called in every household and monastic community. It is nine different ingredients including dried Cheese and various grains. Also dumpling, one in each family or community, is added with various ingredients hidden in them, such as salt, chilies, rice wool and coal. The ingredients one finds hidden in them are supposed to be a light-earthed comment on one’s character, which makes the dining a time of laughter and Jokes. Those who find chilies in their dumpling, for instance, are talkative. White-colored ingredients, such as wool or rice, are considered a good sign. In the evening, after the soup, each member of the family collects some of their fingernail, a stand of hair a use cloth and some money. Then they perform a special ritual of throwing them away at a nearby crossroad. This expelling of all negative forces in one’s body, mind and household marks the end of the year. Lhosar on the first day of the first month beings by rising very early and collecting water from nearby streams or clean river. One person from each household visits the streams with an offering of Chhamba Khatak on Solder Right Male and left Solder on Female. After that Offering Special bread Khapse a kind of cookie prepared for Lhosar), incense, Khatak (a ceremonial scarf) and other items. The offerings are made to the Bird,( bird) the water sprites who activate the water element. Upon arrival, meet at Kathmandu Airport and transfer to hotel, check in, refresh and depart for Bouddha Stupa Tour. Evening-Nepali dinner and folk cultural show. Breakfast at the hotel and drive to airport for homeward bound flight. Note: The above tour cost is based 4-5 star quality boutique hotels and none star quality hotels. Visa fees, international airfares, airport departure tax, lunch and dinner while in Kathmandu, personal clothing, personal insurance, alcoholic and soft beverages, telephone, laundry, charges for delays caused by situations beyond our control such as bad weather, natural disasters, political unrest, accidents and emergency rescue fees. Individual arrivals, such as early arrival and late arrivals are not included in the tour cost and must be paid separate. Destinations: Kathmandu Cultural World Heritage Sites, Sherpa new year Celebration, famous Nagarkot View for spectacular Himalayan scenery, sunset and sunrise.